It’s crazy how good life is now that I’ve discovered The Real Dairy. You see, for years I suffered from chronic symptoms: gall bladder attacks, infertility, eczema, acne, bloat and gas. And I had no idea it was my ridiculous diet. In fact, it was all the result of eating commercialized wheat and dairy. I had no idea the wise women like our grandmothers and great grandmothers were on to something when they would do things like soak beans, culture milk and cheeses from raw milk, make sourdough starter for delicious nutritious real bread. We’ve commercialized the hell out of all this stuff, and in the process we’ve shown all the nutrients and probiotics the door. So if you want to feel really good about what you’re eating, order yourself some kiefer grains, follow the simple instructions and make yourself some healthy cultured dairy products. Kiefer is the king culture and has all the probiotics you will need for a healthy gut so don’t bother with the others. Find a local source for some grass-fed, organic raw milk and get yourself started on culturing. I used to think man was not meant to drink the milk of another animal. What I now know is man is not meant to drink MAN’S commercialized fake version of dairy, we are meant to drink REAL dairy that is cultured with all the good stuff and does NOT have all the enzymes stripped out of it. Don’t be scared: kiefer is nutritious and delicious and can be used in place of milk. You can also make the most sumptuous cheeses by adding your kiefer culture to heavy cream. Your tummies will be so happy and so will your taste buds! So wake up people. Don’t eat commercialized dairy any more (skim milk is the worst, btw). 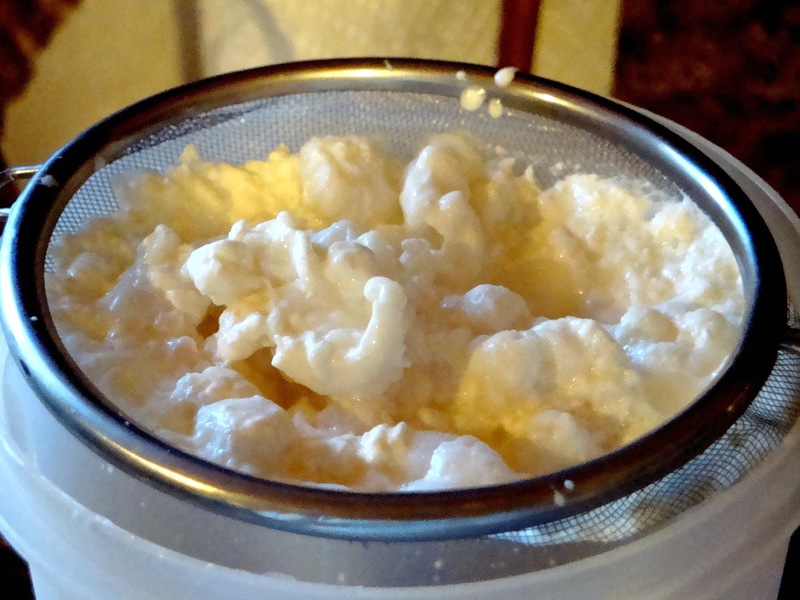 Your body needs the healthy fats in milk, and culturing raw whole milk with good probiotics will blow your mind.